A hard-working wash for a hard-working man. Get an intense clean with this naturally revitalizing body wash that cleans away dirt and odor, leaving skin refreshed. A plant-based cleansing complex join forces with citrus, cypress and fir oils for skin that looks, smells and feels its natural best. 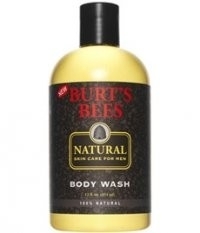 really lovely smelling body wash, great value for money and will definitely be buying again. really lovely after smell, nice texture, gel like. only need a small amount to cover whole body. my boyfriend used lots of body washes in the past, some smelling nice but the after smell didnt last very long once he was out the shower/bath. with this body wash i can smell the beautiful citrus like smell for hours. "really lovely smelling body wash, great value for money and will definitely be buying again."